Login Sheriff PRO protects your customers login reliable and ongoing from Brute-Force attacks, account-hacking and password-stealing. Ensure that you improve your customer protection, reliability and trust! 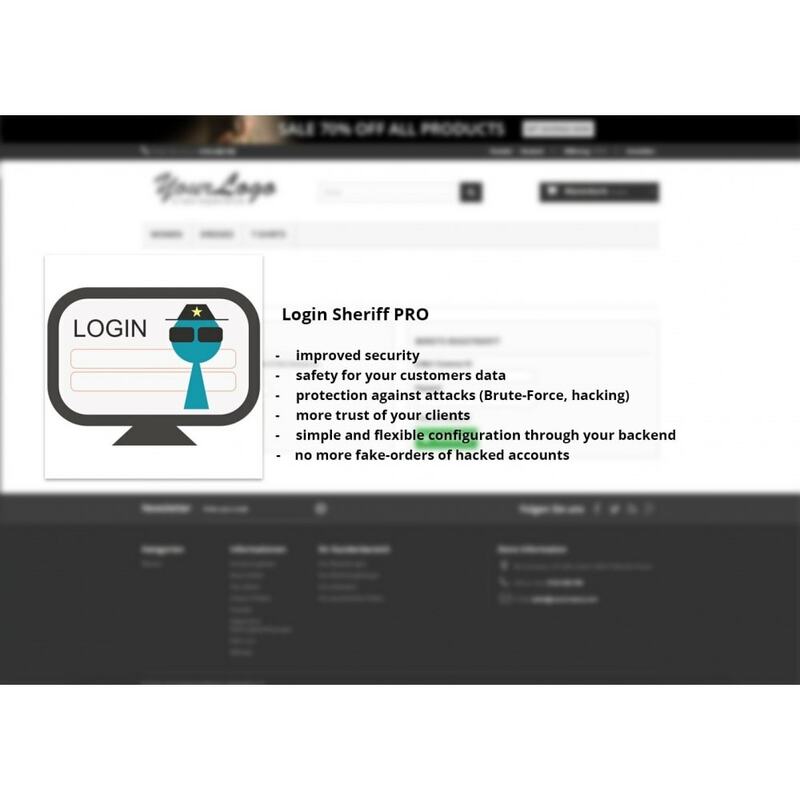 Protect your login mask of your shop with Login Sheriff PRO and make sure to have an increased protection against account stealing and hacking attacks. 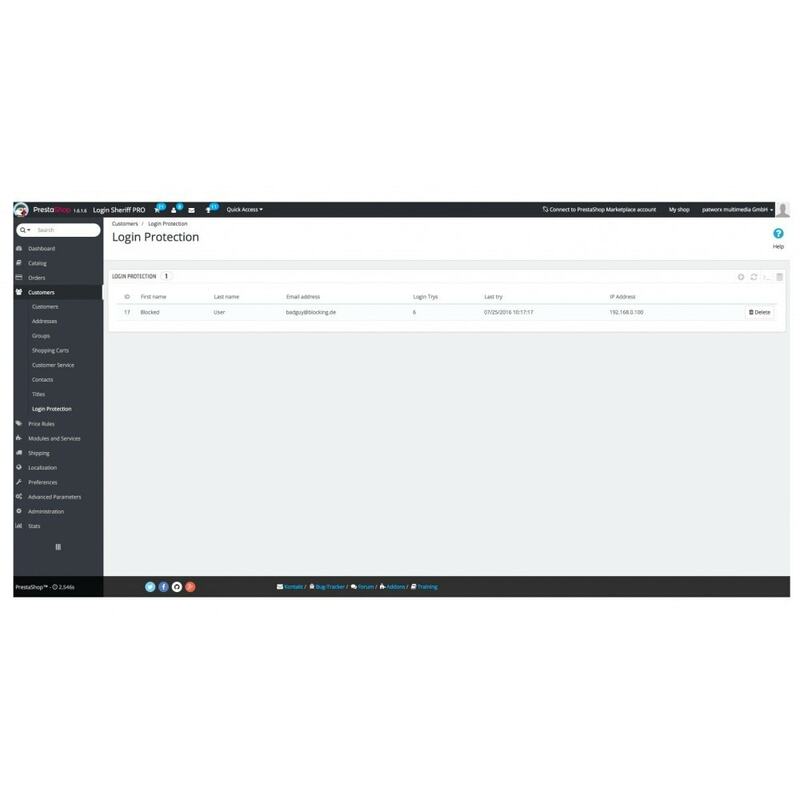 This module is easily and comfortably configurable through your backend, to protected your customers data from unauthorized access. You can set, how often a password may be entered wrong until the account gets blocked. How long this blocking is valid, can also be set free and individual. Of course you can also set, if the whole account should be blocked or only for the attacking IP address. You will get a clean tabular list of all currently blocked accounts, where you can reset them manually. Use this opportunity and protect your shop, your customers data and increase the trust of your clients in your shop and business. This is a must-have module! Questo modulo permette di chattare con i visitatori, monitorare il loro comportamento sul tuo sito in tempo reale e visualizzare la loro geolocalizzazione tramite google maps. Gli operatori possono chattare con più utenti contemporaneamente. You are selling products with a mandatory deposit? Glas, disposable packaging, barrels, cartridges etc.? 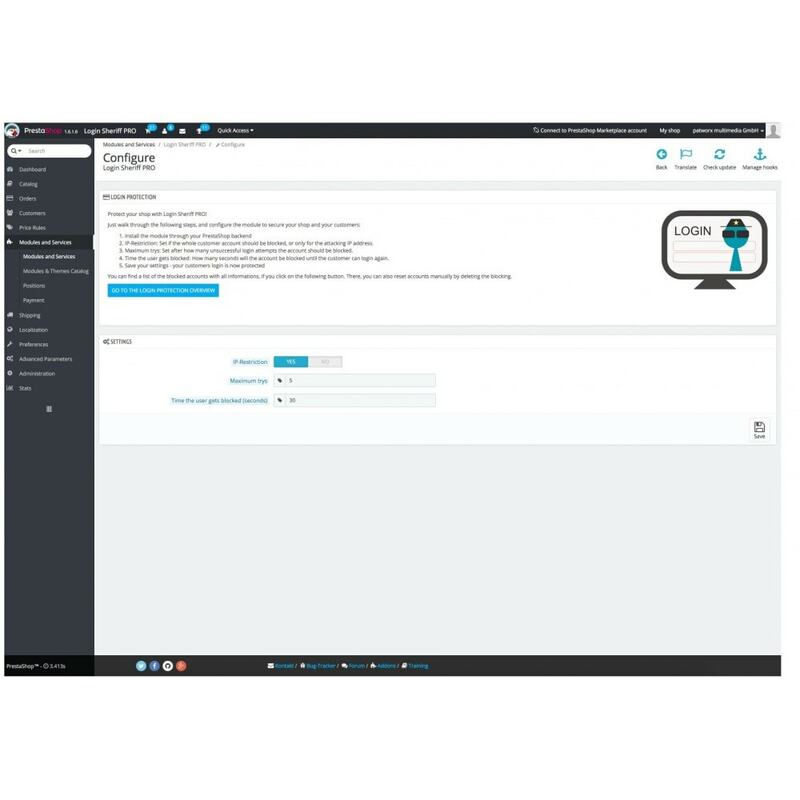 This module automatically adds the defined deposit to the products in the shopping cart. In PrestaShop you usually can only login with your e-Mail-Address. With this plugin, you now can also accept login with the customer ID. Find directly in the order and customer overview, which items were sold in what quantity.